Mosquitos are big banana fans. There’s something about potassium that a mosquito just can’t resist. Cut back on your intake on bananas, spinach, lima beans, and acorn squash. And instead of bananas in your cereal, try blueberries, apples, or even watermelon. These are low-potassium foods that will help mosquitos look the other way. 2. Have you tried eating copious amounts of garlic? Welllll, this tip might be a little misleading, because eating lots of garlic will repel more than just mosquitos. Eat garlic to ward off mosquitos if and ONLY if you also want everything else in the world to flee from your pungent aura. 3. Stop exhaling so much. Since mosquitos love CO2 and that’s what comes out when we breathe, it just seems logical that this would help. However, prolonged use of this method may have some unwanted side effects. 4. Avoid scented lotions and perfume when you know you’ll be outside. When mosquitos aren’t feasting on humans, they’re getting sustenance from sweet-smelling flowers and plants. The thinking goes that if you smell like a pretty flower, a mosquito might mistake you for one. Plus, parading around in your natural musk is a good way to find out who your true friends are. Okay, so this isn’t truly a natural remedy, but it works. Whether from candles, tiki torches, or whatever, smoke keeps bugs away. Keep in mind, also, that studies have shown that citronella-based candles keep mosquitos away for only about 20 minutes. Rather than spending the money on one of those, you might be better off with putting more fuel in those tiki torches or even lighting up the fire pit. 6. Take your B vitamins! Besides improving your energy level and turning a trip to the bathroom into a laser light show, the theory is that vitamin B-1 can change the natural scent of your skin enough to ward of biting insects like mosquitos. Take your vitamins, kiddos. 7. 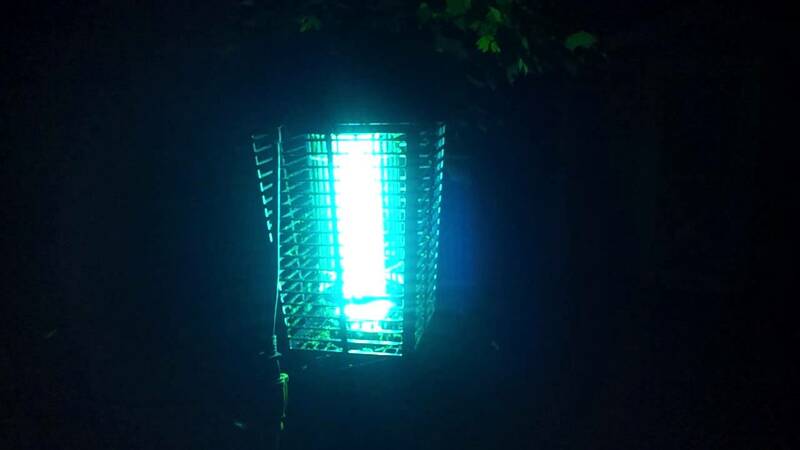 Banish the bug zapper. For some in Shreveport – and all of Louisiana for that matter – this may put a damper on Friday night fun. Plainly, bug zappers don’t kill mosquitos. Your mosquito-killing chances are better with a set of chopsticks than one of these things. Remember these three words: lemon eucalyptus oil. Anything with this ingredient in it will change the tiny little minds of any mosquito that had plans of biting you. According to a scientific study in 2001, catnip is 10 times more effective against mosquitoes than DEET, the most common active ingredient in stuff like OFF. Dow Chemical is even working on getting a catnip-oil product approved by the EPA. Until then you can find spray bottles of catnip oil just about anywhere on the Internet (Google “catnip oil”).